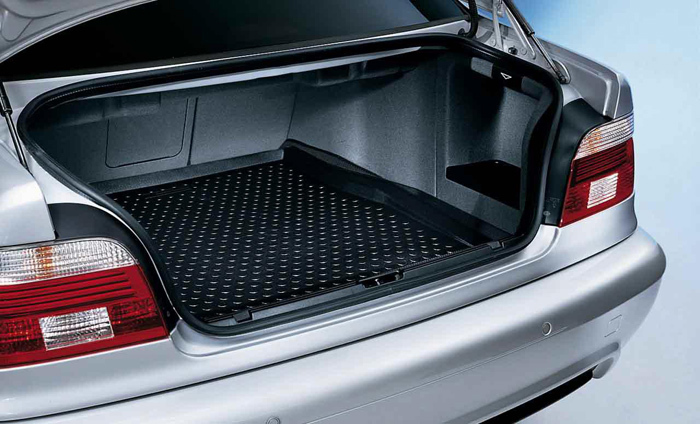 Maintain the trunk of your E39 5 Series sedan or touring with this OEM BMW Trunk Mat. This Trunk Mat is constructed from 100% rubber with non slip grooves that will hold your items in place while preventing contaminants to enter your carpet. This E39 Trunk Mat is a genuine BMW part and will fit 1997-2003 E39 5 Series and M5 vehicles.